Touring cars are back. We love them. You love them. And you’ve definitely let us know you love them! So, at the top of the ‘GRID Autosport’ ideas list we had when we were coming up with the game was TOURING CARS. And yes, that’s right, we broke out the CAPS. We don’t usually like to shout, but it seemed appropriate. …the opportunity to really invest in making each experience really authentic. So Touring Cars gets a whole discipline experience in GRID Autosport, with different series that sit underneath it. One of the central design ideas about taking a multi-disicplinary approach was to give us the opportunity to really invest in making each experience really authentic, to reflect the different specifics, demands and challenges that makes each so unique and exciting for the drivers and the fans. So what can you expect from our Touring racing experience? “Grippy and lightweight, but without a heavy reliance on downforce, the touring cars of Grid Autosport are designed to for thrilling bumper-to-bumper pack racing, from the front wheel drive machines of Category C all the way to the top tier Stock Cars and Super Tourers. These vehicles have a positive turn in and a lot of stability, , giving drivers the confidence to power through the corner and survive the occasional bump with their rivals. These vehicles have a positive turn in and a lot of stability, giving drivers the confidence to power through the corner and survive the occasional bump with their rivals; rubbin’s racing here and the longer stopping distances on some of the more powerful cars will make bravery on the brakes a vital skill to make overtakes stick. When front and rear wheel drive go head to head it’s also a battle of styles; the rear drive cars will have better traction off the start and a straight line advantage, but this is negated by a good slipstream and the cornering stability of the front wheel drive cars that don’t have to worry about power oversteer but can understeer wide if the driver is too greedy on the throttle. So we have cars and handling, but of course Touring Cars need great circuits to race around. 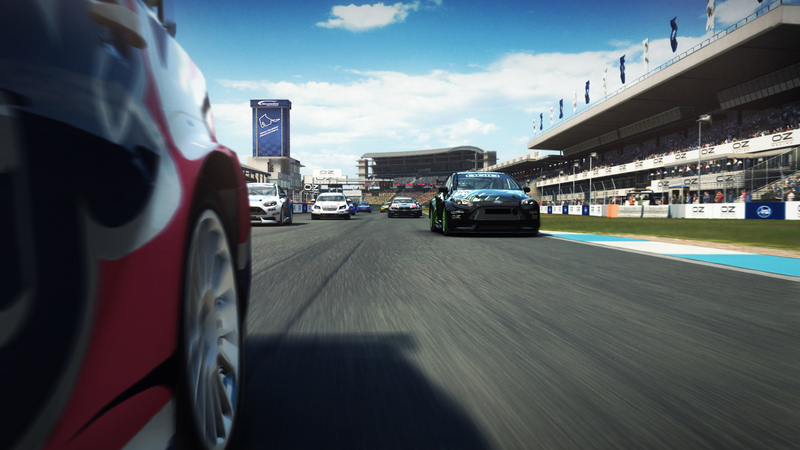 Well, you’re in luck, because GRID Autosport has a fair few of them. You’ll be racing Touring Cars on every circuit in the game (that isn’t an oval) so expect lots of action at the likes of Sepang, Hockenheim, Yas Marina, Jarama, Brands Hatch, and many more! Are you a Touring Car fanatic? Can’t wait to get behind the wheel of a V8 Supercar at Hockenheim? Let us know over on the forums to continue the discussion on Touring Cars and everything else GRID Autosport. Community Manager at Codemasters, grumpy, fussy, and occasional wizard.